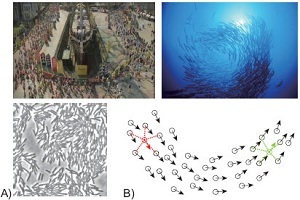 Crowd analysis studies the crowd phenomenon and its dynamics. The steady population growth, along with the worldwide urbanization, has made the crowd phenomenon more frequent. 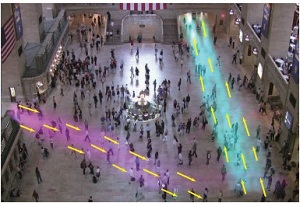 Crowd analysis has received attention from technical and social research disciplines. 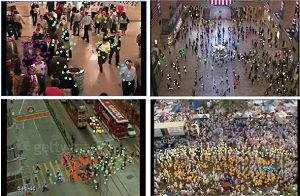 The crowd phenomenon is of great interest in a large number of applications such as crowd management, crowd control, crowd behavior simulation, prediction and so on. 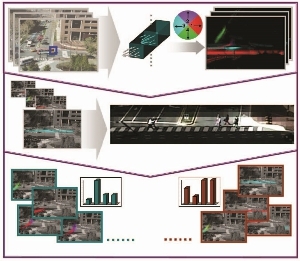 We focus on measuring crowd collectiveness, detecting coherent motions, finding semantic regions and activity perception. 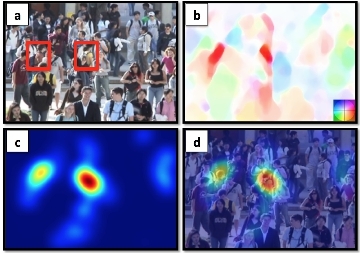 Coherent Filtering: Detecting Coherent Motions from Crowd Clutters. 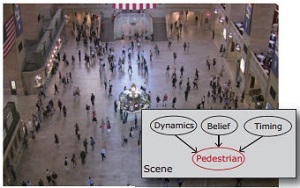 Understanding Collective Crowd Behaviors:Learning a Mixture Model of Dynamic Pedestrian-Agents. 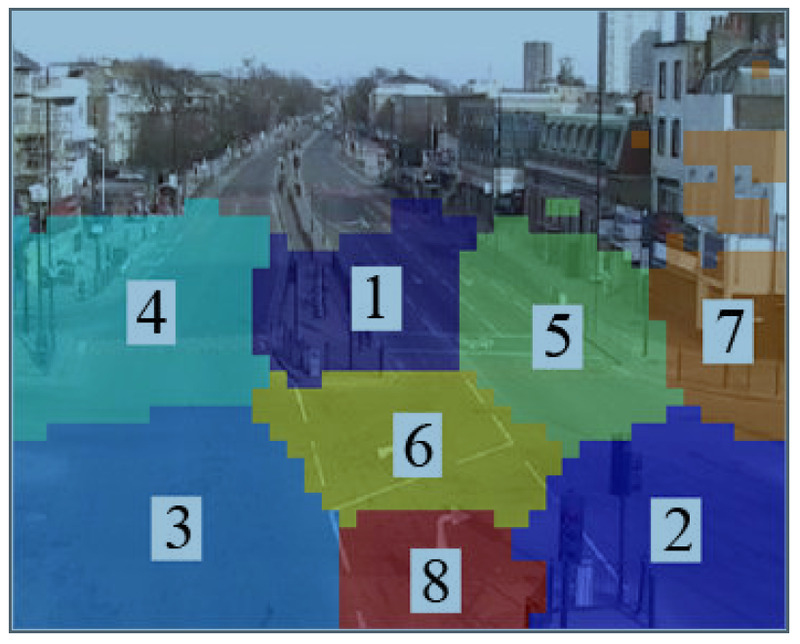 Random Field Topic Model for Semantic Region Analysis in Crowded Scenes from Tracklets. X. Wang, X. Ma, and E. Grimson. 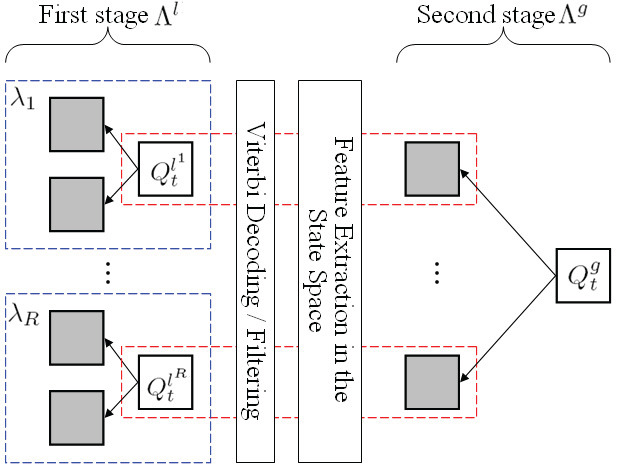 IEEE Transactions on Pattern Analysis and Machine Intelligence (PAMI), Vol. 31, pp. 539-555, 2009. X. Wang, X. Ma, and E. Grimson. in Proceedings of IEEE Computer Society Conference on Computer Vision and Patter Recognition (CVPR) 2007. C. C. Loy, T. Xiang, and S. Gong, in Proceedings of International Symposium on Communications, Control and Signal Processing, pp. 1-4, 2012. C. C. Loy, T. Xiang, and S. Gong, Pattern Recognition, vol. 44, no. 1, pp. 117-132, 2011 (PR). C. C. Loy, T. Xiang, and S. Gong, in Proceedings of British Machine Vision Conference, 2009 (BMVC). C. C. Loy, T. Xiang, and S. Gong, in Proceedings of European Conference on Computer Vision, International Workshop on Machine Learning for Vision-based Motion Analysis, 2008 (MLVMA @ ECCV). 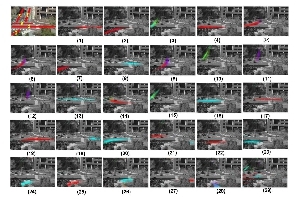 K. Chen, S. Gong, T. Xiang, and C. C. Loy, in Proceedings of IEEE Conference on Computer Vision and Pattern Recognition, 2013 (CVPR, Oral). K. Chen, C. C. Loy, S. Gong, and T. Xiang, in Proceedings of British Machine Vision Conference, 2012 (BMVC).